John: So Holly, how long have you been training dogs and what got you into it? Holly: I got into dog training in about 18 years ago and it was kind of unplanned. My husband was with the Peoria Illinois Police Department and got a dog. I ended up taking over the training because the dog seemed to respond a bit better to a firm training hand. My husband is more of the velvet glove when it comes to dogs so he builds them up while I’m the one to make sure they stay disciplined. It’s a good fit for both of us. John: So is that when you got started with the USCA? Holly: It is. I actually joined up and had dual memberships with the GSDCA and USCA. You can’t do that anymore but, at the time, the governing body allowed it. Now you have to choose one or the other so we do USCA. John: Can you tell us a little bit about your current USCA club? Holly: Well we’re getting ready to retire and planning a move to Wisconsin so we’re changing clubs. 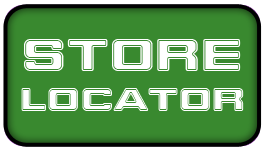 I’ve already been in contact with a couple of great clubs in the area so we won’t be without one for long. We’re not looking forward to the additional winter but we’re excited about the clubs. 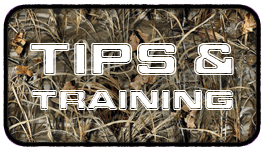 John: What training advice would you share with someone just getting started in Schutzhund? Holly: My favorite advice would be to train for the mistakes because they’ll come. I can’t tell you how often we hear things like “my dog’s never done that before”. I’ve trained dogs to perfection and got to the competition only to have them walk around the A frame and the hurdle and look at me like they’d never seen them before. Even the best dogs have off days so you need to be ready for them. John: I know we first met at the Working Dog Championships in Buffalo, NY and talked about Kinetic but what prompted you to give it a try? Holly: I just wasn’t satisfied with any of the foods we’d been using. We were constantly having either coat or digestibility issues and most of the foods that had the quality ingredients we liked were very expensive and still had some questionable ingredients we didn’t really care for. When you’re feeding multiple dogs, price has to be at least part of the consideration. With Kinetic, we’re able to get the quality ingredients we want and still hit a price point that works well for us. John: So what can you tell us about the results you’re seeing in your dogs? Holly: Your dogs are what you feed them and quality nutrition turns into quality work. We’re really happy with what we’re seeing in all our dogs. In my experience, the coat is a great indicator of the total health of the dog. We’ve also found that coat condition equals mental condition. Our coats are glossy and healthy and look show ready even when they haven’t been bathed in a while. Covet just came into heat and we’re planning to breed so it’s important we’re confident in the food. 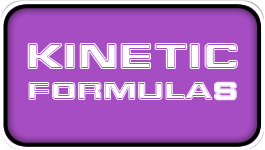 Kinetic has been a really well rounded and well balanced diet for us and we’re really pleased with the digestibility. We want to thank Holly for taking the time to talk to us and for sharing her feedback on Kinetic. 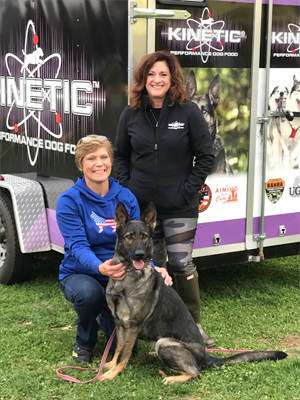 If you’re an active USCA member and have a story to share on how Kinetic is working in your training program, contact Co-Owner Dave Dourson at dave@kineticdogfood.com and tell him your story.